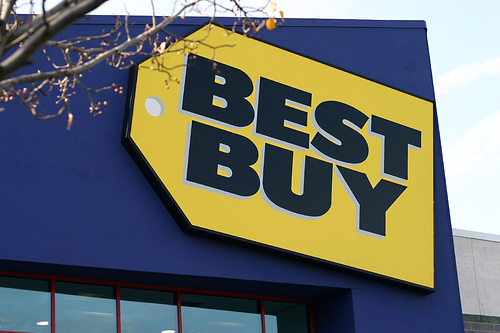 Awesome news if you missed out on the holiday deals, Best Buy has reduced the prices of the iPhone 4S and iPhone 5 by $50 on all models and carriers, bringing the 16GB iPhone 5 down to $149.99 and the 16GB iPhone 4S down to just $49.99. Spotted by 9to5Mac, the deal is available on all variants of the iPhone 4S and iPhone 5, regardless of carrier, and is available both in-store and online for anyone signing up for a two-year contract deal. For the iPhone 5, this is the best deal currently around with prices coming in on the 16GB iPhone 5 at $149.99, the 32GB down to $249.99, and the 64GB to $349.99. Cheaper prices were previously available at Walmart but stock quickly became hard to come by, so it is suspected the availability of stock at Best Buy may not be around for too long, and with the offer only lasting for 2 days, these will get snapped up quickly. Having only been released a few months ago, it is Apple’s latest handset and has received very positive reviews with the enlarged screen over the previous iPhone models, increased performance, and an improved camera. If you’re interested, click this link to visit Bestbuy’s website.